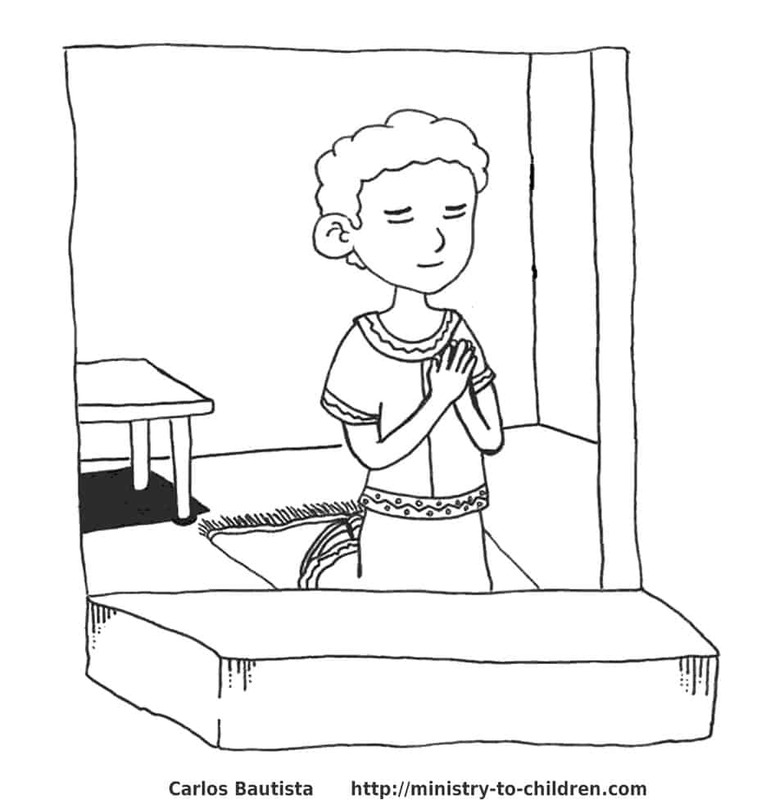 This coloring page shows the prophet Daniel as a young boy praying beside his window. The drawing is cartoon clip art style and perfect for children to color. This sheet could be used along with a Daniel Sunday School lesson or simply as an illustration about prayer. Directions: Click on the preview image to the right for the print-friendly version of this Daniel coloring page. We have also uploaded a higher resolution jpeg image for advanced editing. This picture reminds us of the story in Daniel 6 about the lion’s den. 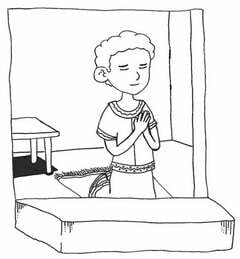 Daniel had been a faithful man since he was young and had no hesitation obeying God rather than the new king. If you enjoy this free coloring sheet, please leave a comment below to thank Carlos for his work. He is a young man from the Philippines who attends Bible college and works with children in his local church. Tony Kummer (Editor) reviewed & updated this page on : March 29, 2011 at 10:12 am. All our content is peer reviewed by our readers, simply leave a comment on any post suggest an update.